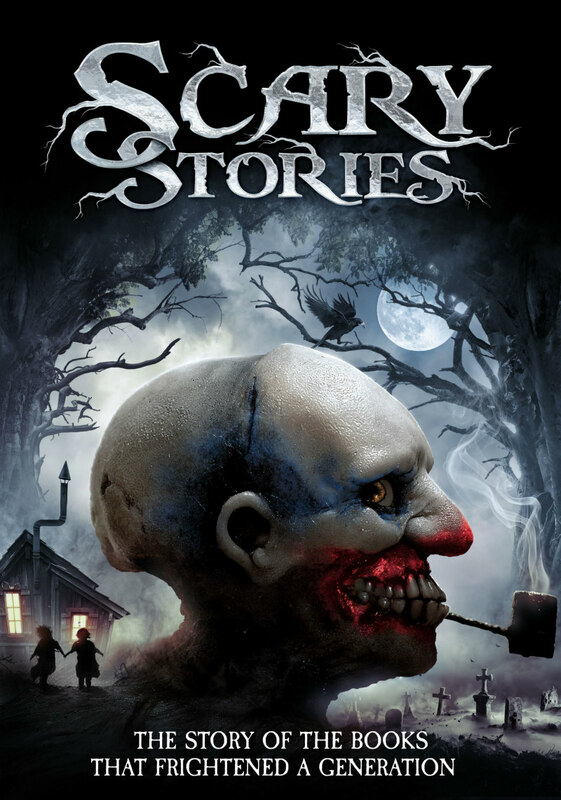 Ahead of the release of a high profile screen adaptation, a new doc looks at the Scary Stories book series. 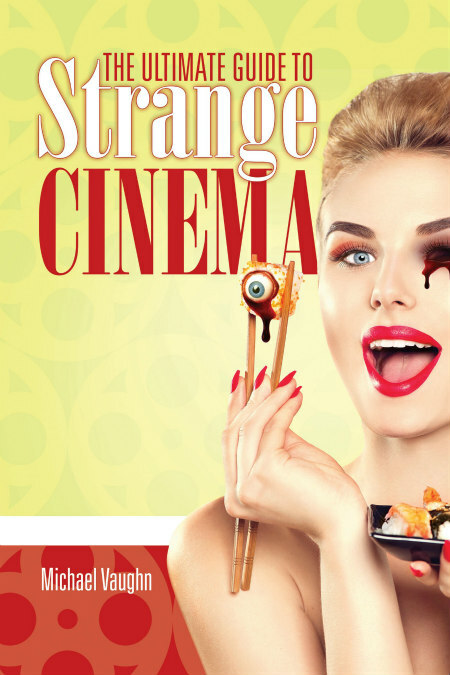 Limited US theatrical release April 26th, VOD May 16th and DVD July 16th. Like many kids of the late '80s and '90s, the Scary Stories book series was a big part of my childhood. I wasn’t really aware if the books were banned in our school as I proudly owned all three books in the series. Both Goosebumps and Scary Stories were the perfect spooky bridge to more adult fare such as Stephen King and Clive Barker. And, hey, it got kids interested in reading. However, I came to find out from Mr. Meyrick’s highly fascinating movie that these books were heavily banned in schools. This is despite the fact that these stories are gathered from rich folklore from all over. Before the much beloved book series gets a big screen treatment (much like Goosebumps), a documentary by director Cody Meirick hits the big screen in a limited release later this month. 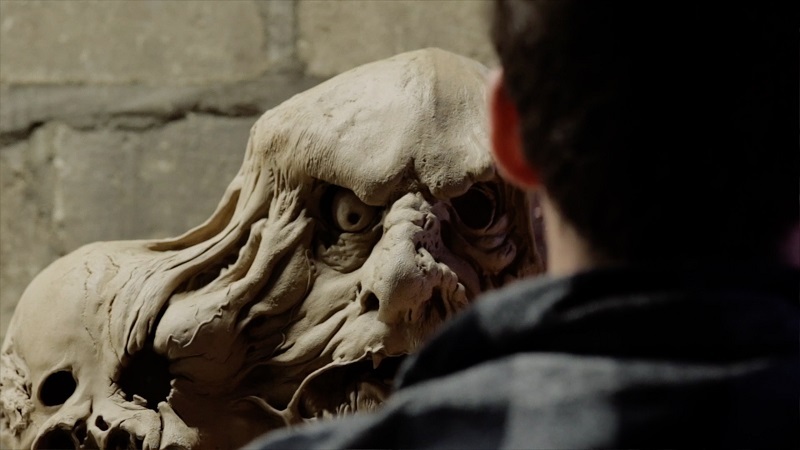 Scary Stories traces the books' legacy by talking to author Alvin Schwartz' wife, son and grandson, as well as other authors - most notably Goosebumps' R.L. Stine. It also talks to fans who love the material and who showcase various projects based on the books. Scary Stories is a fun, inventive but somewhat flawed film. The trailer makes it seem the main thrust of the film is the controversy over the book being banned; however, the actual film kind of weaves this in randomly throughout other talking points. It weirdly breaks up the flow, which is otherwise structured nicely. I think I would have liked to have seen the banning being the main point of the film and have the author's family interviews serve as a nice prologue, with the fans at the end serving as its epilogue. Despite this, you can tell that the movie is extremely well made and done with a lot of love and respect for the source material. Wisely, Cody picks lively interview subjects, and they are never dull. In fact, the segments with the author's son are at times utterly heart breaking, as it's clear the son had a complicated relationship with the author. But what really kicks this documentary into overdrive is the visuals, which of course “draw” a lot inspiration from the legendary art work that in part made the books so popular (and so disdained by moral groups), and that is really a clever thing to do. I love documentaries that not only feature interesting people (which this does) but which are also well crafted in ways that don’t just feel like they're going from one interview to another. This is really where Meirick shines - he always keeps it interesting. Overall, Cody captures the true heart of a book series that had a major impact on my life as a kid and the lives of many, many others. This is one talented guy, and I really hope we see more from him in the future. Tell me how you got started with this project? I had the idea of making a documentary about Scary Stories to Tell in the Dark about five years ago. My background involves producing media related to children’s literature and generally I have a big interest in it. It seemed like something that I wanted to take on as a first full-length film. Specifically, the idea of focusing on the Scary Stories to Tell in the Dark books really just began with me realising it would make for an interesting topic. I knew they were wildly popular, I grew up with them myself, along with the fact that they are arguably the most challenged books of the last 40 years. It amazed me that no one had tackled the subject already, and I really felt like I was the one who could do it in a smart, insightful, but also fun way. So I got started with it. I pieced together bits of funding over time that could turn into some limited shoot days that spanned a few years. I'm sure you get asked this a lot, but what is your personal favourite story from the three books? I’ve given some different answers over the years, but generally I think I’ve come to like The Big Toe ahead of the other stories in some ways. It is simple and iconic and in many ways embodies the heart of what these books were to so many children. And it also has a rich history. Mark Twain famously talked about The Golden Arm as an example of how important storytelling is, and how impactful a story can be when told well. His Golden Arm story is essentially the same as The Big Toe, though I think The Big Toe has a nice morbid oddity to it, similar to many Grimms’ Fairy Tales. 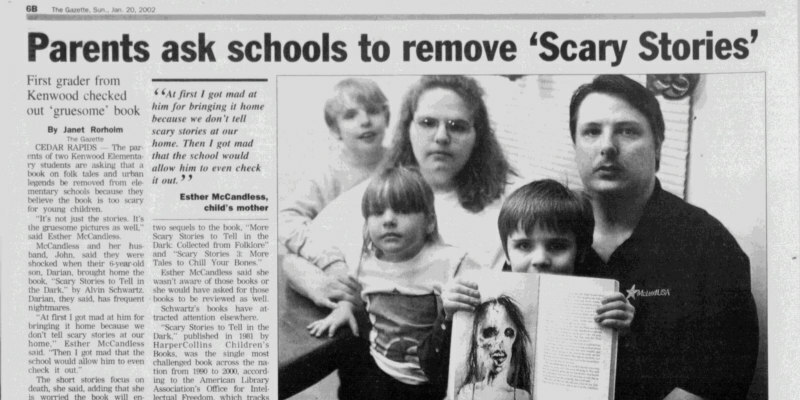 What was the most interesting thing you learned from making Scary Stories? I’m sure others would have different answers, but for me I really liked going deep in the folklore and finding interesting similarities between scary tales that we have been telling children for centuries. It’s the same reason one of the things I remembered most about the books is the source material sections in the back of them. Because I like discovering social themes and I like learning about the human condition through the stories that we tell. That’s just fun and interesting to me. There are a lot of stories in these books, which meant a lot to explore, even if at the end of the day I needed to condense it a little for the final product. I still plan on having a lot of additional materials live on in some way, particularly on our Youtube channel. I’d like people to both enjoy the film, have fun with it, but also take away something they didn’t know before. And I’d like to open up a discussion about censorship that often isn’t known about or highlighted much. I’ve had some time to think through a number of different ideas for a next film. That has evolved into one particular project that I’m hoping will move forward more this year. And that is a script that I’ve written, which is intended to be a high concept, low budget horror film. You always want to be ambitious and take on something you had not before, and for me that is both exploring a narrative film as well as hopefully starting out with a little more of a budget and a few more resources compared to the last time. That is always the goal. I want to give a huge thanks to Cody for taking the time to answer a few questions. And please check out his film - it's worth watching.